From one lazy recipe post to another. I must admit I have been rather lazy writing lately and cooking too for that matter. So after work yesterday, I thought I will make a lazy supper to celebrate the temporary return of the British 'Summer'. How long this short span of heatwave will last, I'll never know but surely it is at times like these that a light salad is called for and the best thing is....not much cooking was involved in this. 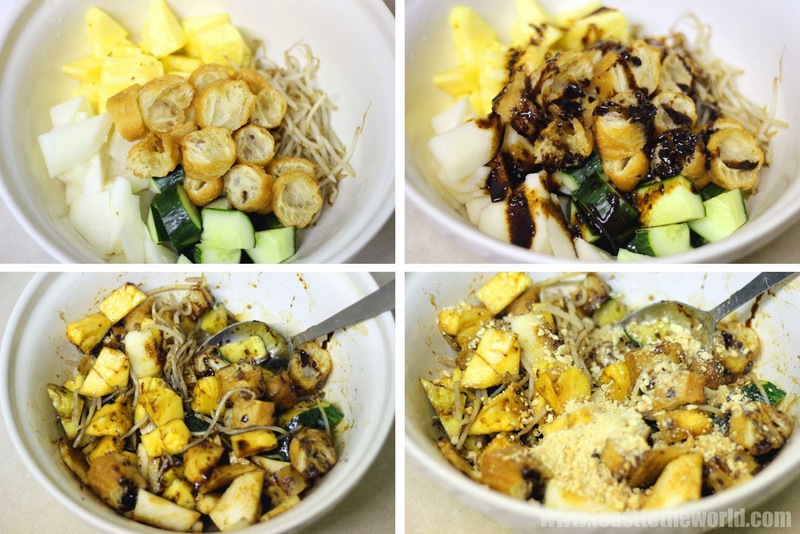 Now Rojak is quite unlike any salad that you'll get in some fancy restaurant. Those are rabbit food. Not that I have anything against rabbit nor the food they eat for that matter. Personally, I do enjoy them occasionally (delicious little creature). But this salad is on another level, another planet altogether, it's salad on crack! The combination of tangy sweet pineapple, crunchy yam bean or bangkwang (aka jicama), fresh cucumber chunks and crispy you tiao/you char kwai or doughsticks just give the most lovely medley of textures. It is highly addictive and the dressing for this salad is packed with so much flavours that I like to lick any leftover straight off the spoon. 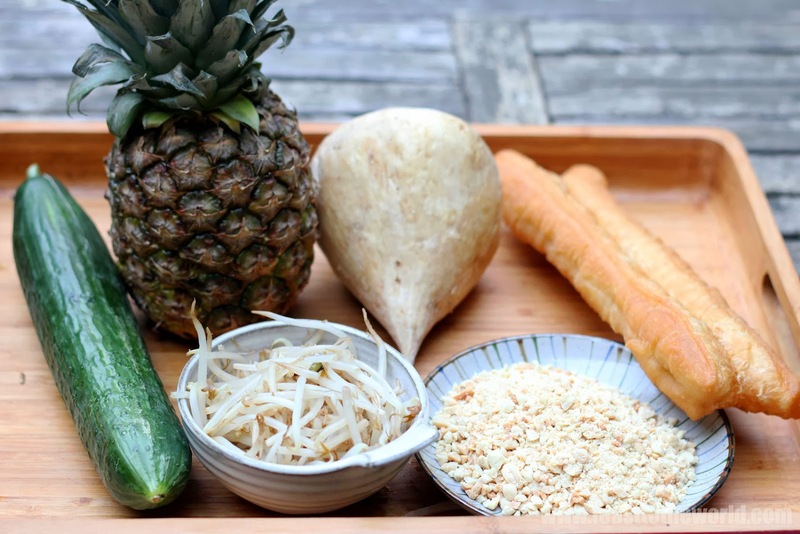 The magical dressing uses the unusual black shrimp paste, known as hae gor in Singapore, not to be confused with the dried shrimp paste or belacan. This sweet molasses-like sticky gunge is vital in giving the dressing it's richness. 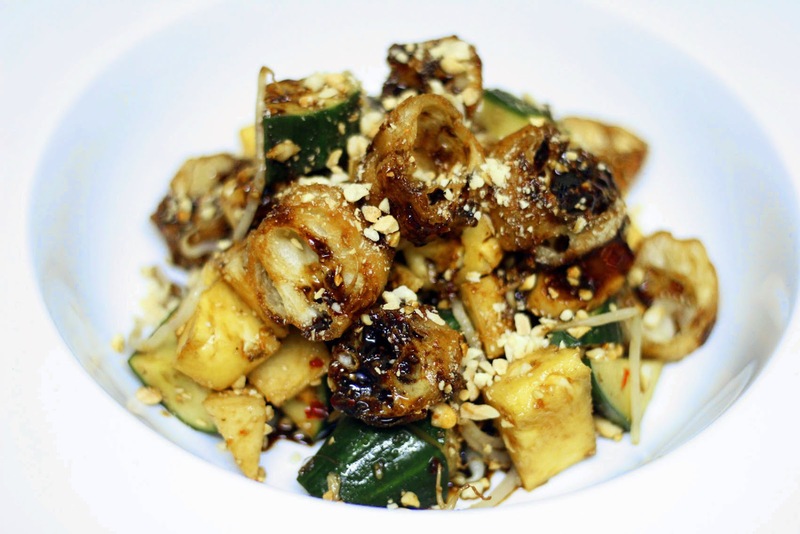 Along with the chopped peanuts, it give the Rojak sauce a distinctive aroma and makes for a fantastic dip. Make sure you use lots of doughsticks for the Rojak, everyone love them which mean there will never be enough to go round. I made this for my recent supperclub and it went down a storm. Try it and you might just love it as much as I do. 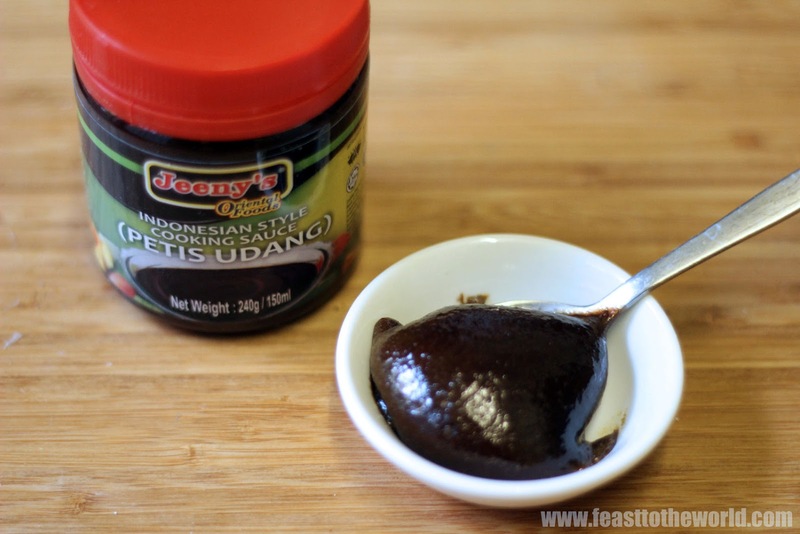 In a mortar and pestle, pound the toasted belacan, chilies and gula melaka to a soft paste before adding the black shrimp sauce, tamarind and kecap manis. Mix to combine well and set aside. Just before serving, place all the fruits and vegetables, barred the peanuts, in a large bowl. Add the dressing and mix well. Scatter over the chopped peanuts, saving some for garnish. Spoon into individual serving dish and topped with more peanuts to finish. 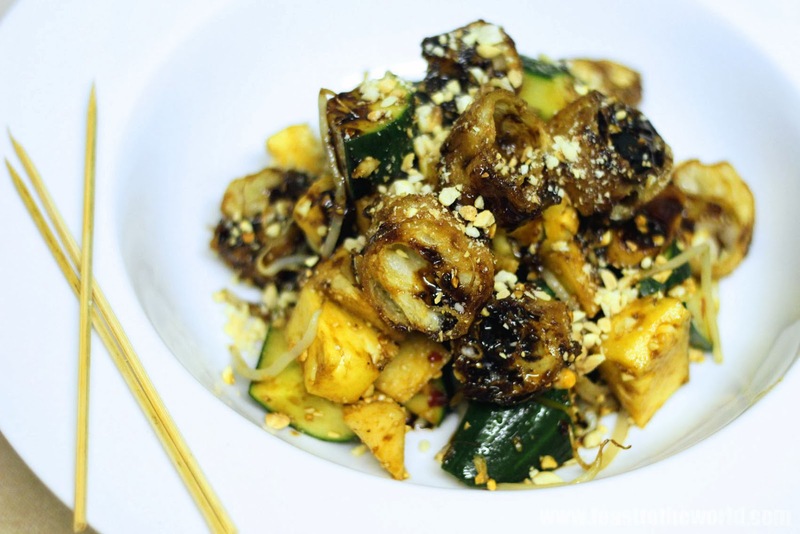 Serve with some Rojak sticks (bamboo skewers) for an authentic touch. oooh. where does one find jicama in london? I found mine in New Loon Moon in Chinatown but I bought some from Maltby Street market before too.